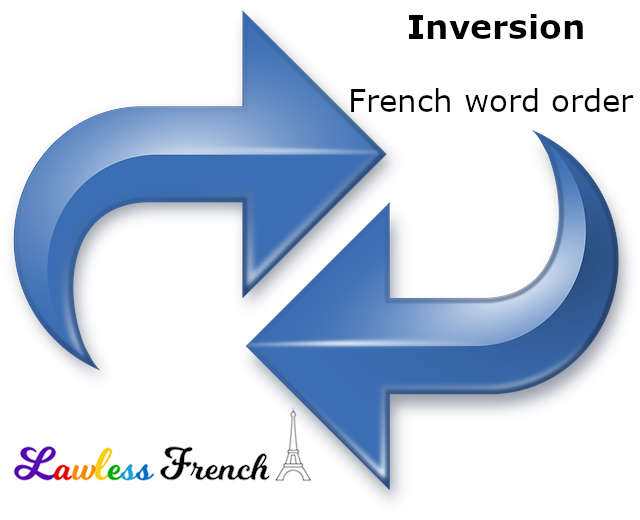 Inverting subjects and verbs is easy enough – vous voyez => voyez-vous, but where do object, adverbial, and reflexive pronouns go? And what about negation? Take a look at this lesson to learn about all the possibilities. To figure out the correct word order with inversion, you need to start by considering which of the three verbal structures you’re dealing with. Voyez-vous ? Do you see? Ne voyez-vous pas ? Don’t you see? Le voyez-vous? Do you see it? Ne le voyez-vous pas ? Don’t you see it? Remember that third-person singular inversion sometimes requires the addition of t-. Parle-t-il français ? Does he speak French? Ne parle-t-il pas français ? Doesn’t he speak French? Le parle-t-il ? Does he speak it? Ne le parle-t-il pas ? Doesn’t he speak it? Compound conjugations are two-verb conjugations where the first verb is an auxiliary verb and the second is a part participle: verb forms like passé composé, futur antérieur, conditionnel passé, etc. When inverting with these conjugations, the auxiliary verb is the focal point. Avez-vous vu ? Did you see? N’avez-vous pas vu ? Didn’t you see? L’avez-vous vu ? Did you see it? Ne l’avez-vous pas vu ? Didn’t you see it? When inverting with a semi-auxiliary verb (e.g., aller, espérer) followed by an infinitive, the semi-auxilary is negated, while the pronoun precedes the infinitive. Voulez-vous voir ? Do you want to see? Ne voulez-vous pas voir ? Don’t you want to see? Voulez-vous le voir ? Do you want to see it? Ne voulez-vous pas le voir ? Don’t you want to see it?